With all of their experience and training, Joel and Keely have created a new business model which provides a very personalized experience for the buyer catering to everyone from millennials looking for their first piece of jewellery, to the experienced jewellery-buyer looking for a special piece to showcase an extraordinary gem. Our process is unique in Montreal. With our ability to custom design in-house, we can offer new levels of customer service and customization. We feel passionately about making your dreams come true. The only way we can accomplish this, is by being involved with you in the manufacturing process, and it all starts with a design. The design process is simple. Whether you have an idea in mind, or have no creative ability, we’re here to help. We work with two different types of CAD (computer aided design) software, one of which has a library of over 1100 different styles of rings, pendants, bracelets and more. The second program allows us to design from scratch. Whether you know exactly what you want, or would like to browse through our library of styles and models for inspiration, you’re sure to find the design that works for you. We will sit and work with you until you are happy with the design. After the design is approved, we then print the model on our 3D printer. This allows us to verify the model to ensure that it will cast perfectly. Understanding how a proper piece of jewellery should be made, allows us to verify your model ourselves to ensure that the details will cast accurately. During this stage, we would also invite you to come back in to see the model in its life-size scale, so you can start to see your piece come to life. Next, we send the model to be cast in whatever type of metal your heart desires. At this stage, we begin to prepare any gemstones that are required for the model. We have very high standards of quality, and will accept nothing less than our standards. 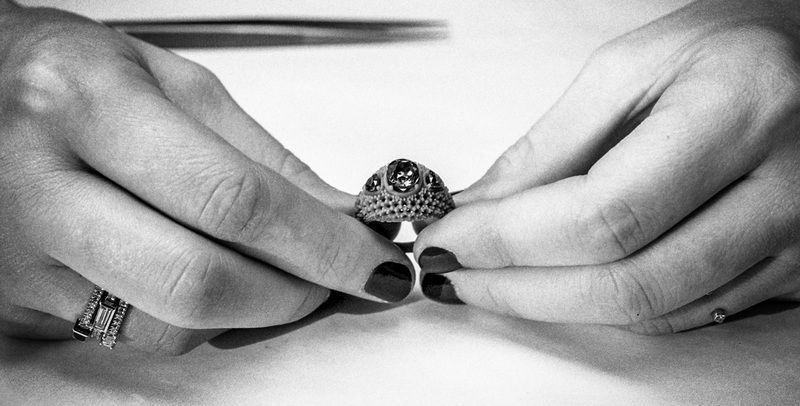 We sort the diamonds ourselves, ensuring that every stone is perfect for the piece. Manufacturing is done to our specifications. We take pride in the quality of our work and we will not produce an inferior product. Once we provide our jewellers with the necessary stones, they go on to finish your piece to our high standards of workmanship. What allows us to provide you with wholesale prices? We haven’t changed our quality or standards from those of the former Lou Goldberg Jeweller. We are still passionate about fine quality and high-end jewellery. Instead of lowering our standards we exercise even more control over where we are sourcing our materials. We work primarily in 18K gold, and know we can deliver you a piece with your tastes and budget in mind, while still using high quality materials. Since we have an extensive network of international suppliers, we source diamonds and coloured stones mainly overseas where the gemstones are being cut. We try our best to get as close to the source as possible, which allows us to provide superior quality at a competitive price. We aim to cut out the middleman as much as possible. 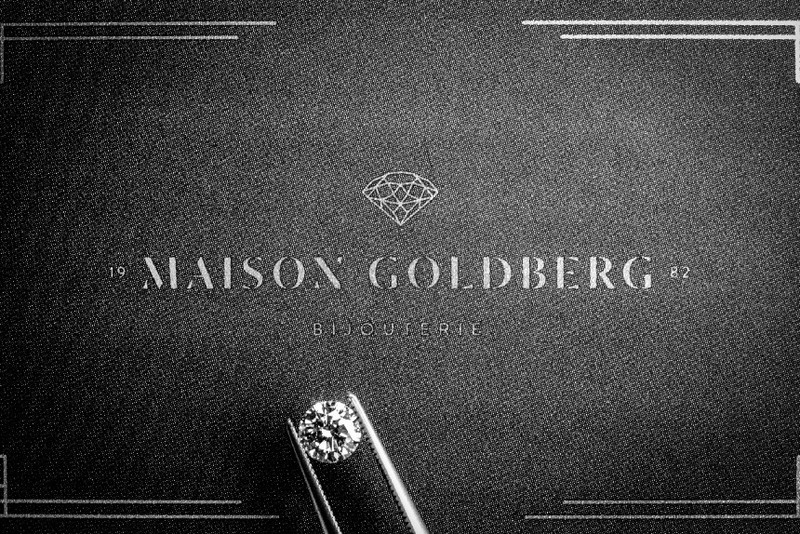 Our diamonds are GIA certified and important precious stones will have a gem lab report stating any treatments, and the origin of the stone. We attend trade shows all over the world, hunting for the best quality with the most affordable prices. Is custom jewellery affordable? Yes. The beauty in the concept of customization, is that we work within your budget. You dictate where the design will go based on your budget. Whether you have $500 or $50,000 to spend, we can make something beautiful for you.